The Port Authority of Allegheny County in Pennsylvania is asking Norfolk Southern Corp. for $3 million to reimburse costs incurred during the August derailment at Station Square that disrupted light rail traffic for nearly three weeks. The derailment in Pittsburgh’s south side inconvenienced thousands of riders for weeks, port authority CEO Katharine Kelleman said. A Norfolk Southern freight train derailed Aug. 5, sending its cars and cargo of household products onto the Port Authority T track below. The Station Square T stop and the Monongahela Incline were closed for 20 days. Norfolk Southern representatives could not immediately be reached for comment. Norfolk Southern officials said in November that a broken rail caused the derailment, and the Federal Railroad Administration has yet to issue its final incident report. 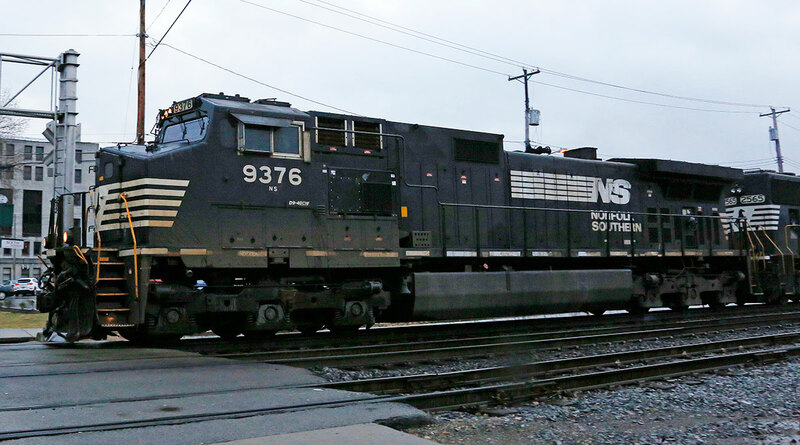 A Jan. 31 letter to Norfolk Southern expressed Port Authority officials’ concerns over the risk of a repeat incident. “These concerns are heightened by how quickly after the derailment NSC resumed service and the continued use of double-stacking trains on this hillside,” wrote Burton Jennings, Port Authority’s chief safety officer. He also noted Norfolk Southern’s intention to begin running double-stacking trains on the tracks near the Martin Luther King Jr. East Busway — the same type of train involved in the Station Squire derailment. Jennings wrote that the derailment could have been worse if the derailed train struck riders waiting on the platform or a light rail train leaving the station.